Once in Rome. Twice in Manhattan. That makes me a three-time pickpocket statistic. More specifically I am one of 400,000 daily pickpocket incidents worldwide, and some 3,000 monthly in New York City. 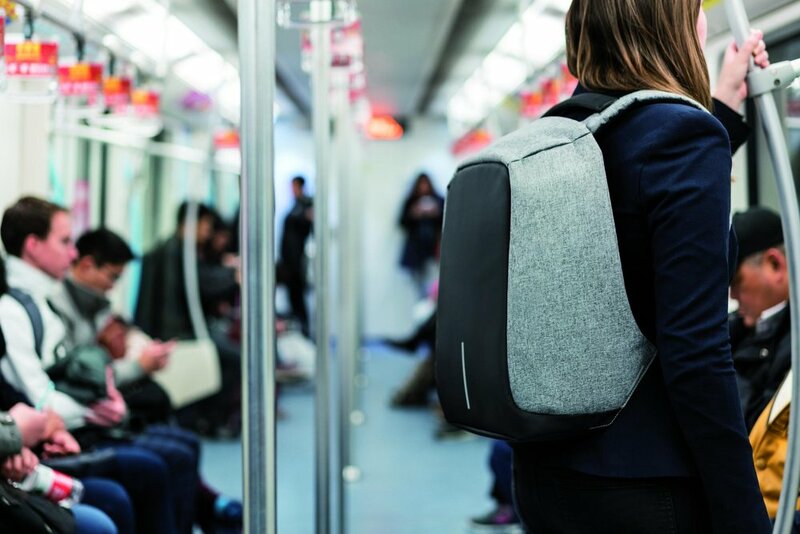 Yet the anti-theft features were not what attracted me to the Bobby Backpack when I saw it at NYNOW, a marketplace for retailers at the Jacob Javits Center in New York City. Instead I was completely drawn in by its beautiful modern design and sophisticated colors. I soon learned that Bobby’s beauty goes beyond the visual. Functionality is built into the design, as Shirley Akkerman, Commercial Manager, Retail, for the Dutch design firm XD Design, demonstrated. Inspired by commuters carrying their backpacks in the front, designers incorporated numerous anti-theft features into Bobby (yes, it's named for the English policeman), from slash-proof material to hidden zippers and pockets and a “zero entry” rear opening (i.e. the backpack cannot be opened from the front). Side and rear pockets hide valuables and provide easy phone access without having to remove your bag or wear an additional smaller bag. Card-size pockets on each strap make missing subway trains while digging for that Metrocard a thing of the past as well. Additionally It is optimally balanced so wearing it feels up to 20 percent lighter than other backpacks. 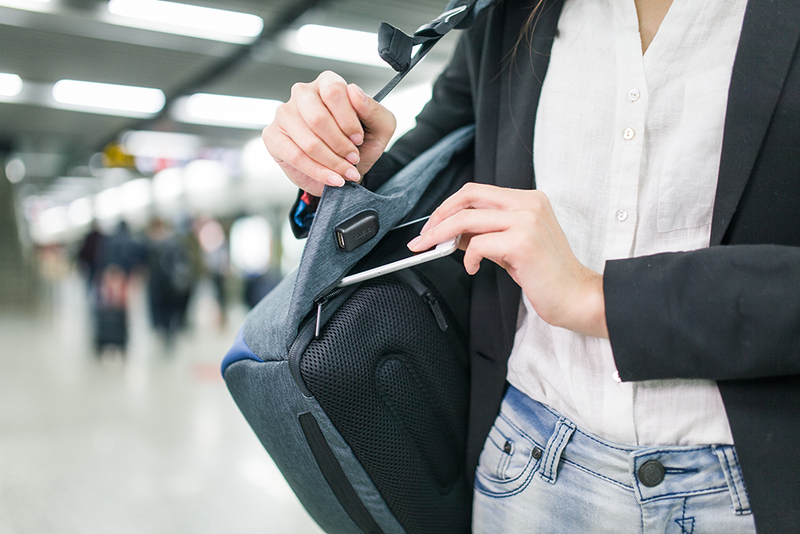 Made of lightweight, water-repellent fabric, it features an integrated external USB charging port, reflective safety strips and an adjustable luggage strap to slip on your roller bag (I’ve never seen a backpack with that ability!). Though compact in size and design, Bobby is designed to accommodate a laptop, tablet, books, water bottle, clothing, headphones and power bank and more. Contents are easily packed and retrieved since it opens up a full 180 degrees. Following a record-setting Kickstarter campaign for the original Bobby (the most successful ever for a backpack), XD Design noticed that 80% of its backpack sales came from the U.S., Akkerman explained. Thus the decision to launch the Bobby Compact at NYNOW. But back to those colors that caught my eye. Available in black, grey or red, the original Bobby fits a 15.6-inch laptop and retails for $95. The slightly smaller Compact fits a 14-inch laptop and comes in sporty gray heathered fabric with coral, yellow, navy, pastel blue or mint (my personal favorite) accents. Made of a slightly softer fabric than the original Bobby, the $105.95 Compact includes a mini Bobby with tote bag and integrated rain cover. Both the original and new Compact size are available through Amazon. NYNOW may have been XD Design’s first venture to a U.S. trade show, but I hope we'll be seeing more of the firm’s beautifully simple and functional products here in the near future. How about you? Does Bobby change your mind about backpacks?